Find a George Michael Tribute Act for hire near you in minutes! Option 1. Enter your event location below & contact a George Michael Tribute Act directly! Option 2. Request multiple quotes from available George Michael Tribute Acts Get Quotes! Option 3. Read information & advice on hiring George Michael Tribute Acts Read Advice! What exactly will a George Michael TRIBUTE ACT do at your event? George Michael has been entertaining audiences ever since the early 1980’s as one half of the brilliant Pop duo Wham! His first solo album, ‘Faith’, was released in 1987 and ever since then, he has built a hugely successful solo career with songs that cover genres such as Pop, Dance, Disco, Rock and piano-based ballads. The George Michael Tribute Act will perform the best of George Michael, whatever your occasion is. This will include the most popular George Michael songs including ‘Faith’, ‘Freedom’, ‘One More Try’, ‘Father Figure’, ‘Fast Love’, ‘Jesus to a Child’ and ‘Don’t Let the Sun Go Down on Me’. There is also the possibility that the George Michael impersonator will cover songs from the earlier Wham! period too, if this is the case, then you can include songs such as ‘Last Christmas’, ‘Wake Me Up Before You Go-Go’, ‘Club Tropicana’, ‘I’m Your Man’, and ‘Wham! Rap’ within the setlist!. The hired George Michael Tribute Act will also do their best to incorporate George’s style and physical appearance to ensure that your hired act is a George Michael lookalike too! Mainly, an George Michael Tribute Band will entertain your audience with a fantastic live show that will put the wow factor into celebrations and impress your guests, whatever their entertainment tastes may be. What event types are George Michael Tribute ACTs hired for? If you’re crazy about George Michael, then you may want to hire a George Michael impersonator to woo your wedding guests at your wedding ceremony?! The love songs of George Michael are very personal and romantic and which would be perfect to play live at a wedding ceremony. The hired George Michael Tribute Act will come with a full band of professional musicians who will be able to cover any George Michael song that you request. For the wedding ceremony, we would advise George Michael’s wonderful version of Stevie Wonder’s ‘You and I’, which was recorded by George Michael as a wedding day gift to Prince William and Catherine on their wedding day back in 2011. Well, if it’s good enough for royalty…! This song would be ideal for when the bride is walking down the aisle. The wedding drinks reception will be the first time of the wedding day when the newlyweds will be able to meet and greet their wedding guests properly, have some photographs taken and enjoy some refreshments. Why not soundtrack this wonderful moment by hiring a George Michael Tribute Act to run through some of the best George Michael songs of all time?! For the wedding drinks reception, we would advise to request some mellow George Michael classics such as ‘Outside’, ‘Amazing’, and ‘Freedom ’90’. Book a George Michael Covers Act for your wedding breakfast and you will get a professional singer who will appeal to a whole range of people! Such is George’s popularity, that we’re pretty sure everyone will enjoy the show! The hired George Michael impersonator can cover songs such as ‘Don’t Let the Sun Go Down on Me’, ‘Father Figure’, and ‘Knew You Were Waiting!’. You can book the George Michael Tribute to sing at your wedding breakfast as the guests are entering the wedding breakfast venue, and before the wedding speeches and cutting of the wedding cake! If you are looking for a live band to perform at your wedding evening reception, then a George Michael Tribute Act will be ideal for the musical entertainment! You can count on the music of George Michael to provide you will songs spanning vast amounts of genres and styles. Need an upbeat song to get the wedding party started? We would advise for the George Michael Tribute Act to play something such as ‘Freedom ’90’, or ‘I knew You Were Waiting!’. How about a love song for the happy couple’s first dance? For this poignant moment, we would request a song such as Whams! ‘Careless Whisper’, and George’s pristine ‘One More Chance’. If you are promoting your product at a trade show, and you need your potential clients to have a ‘Faith’ in your product which is ‘Flawless’, then we would advise to hire a George Michael Tribute Band to cover the best of George Michael to rally up interest and support! George is such a likeable character and his music is mainly great fun, so hiring a covers band to perform the hits of George Michael will be a great investment at your trade show or product launch! Hire a George Michael Tribute Act for your work party and your workforce will be over the moon! George has a host of party songs which will raise the roof at any work party you may have coming up! Whether it’s a Summer party (‘Don’t Let the Sun Go Down on Me’) or a work Christmas party (‘Last Christmas’) Or maybe a colleague’s leaving party? (‘Freedom!’) With George’s music, there’s so many songs you can choose from that you’ll be able to cater for everyone! Whether it’s a work conference, or a corporate awards show, a George Michael Tribute Act will be able to relax everybody as well as getting the party started! If there’s one thing that George Michael knows how to do, it’s partying! George’s music is very upbeat and most of the songs have a positive message, hence why hiring a George Michael Tribute Act is a great idea for any party! Maybe you’re hosting a 1980’s themed party?! George Michael made his name in the 1980’s with the band Wham! and then launched his solo career in 1987 with the release of his first solo album, ‘Faith’. This makes him the perfect musical act for your 1980’s themed party! The George Michael live covers band can covers everything from George’s Wham! era such as ‘Club Tropicana’, ‘Freedom’, ‘Edge of Heaven’, ‘Young Guns’ and ‘Careless Whisper’, as well ‘Too Funky’, ‘Flawless’, ‘Fast Love’ and ‘One More Try’. George Michael also established himself as an iconic singer in the 1990’s with albums such as ‘Listen without Prejudice Vol.1’, ‘Older’, ‘Songs from the last Century’. George’s 1990’ period includes songs such as ‘Jesus to a Child’, ‘Fastlove’, ’Spinning the Wheel’, ‘Older’, ‘Freedom 90’, ‘Waiting for the Day’ and many many more. How much do George Michael tribute ACTS cost to hire? Our simple to use entertainment directory allows you to firstly search for the best George Michael Tribute Acts who are local (or travel to your area) and then via the contact form you may message them directly to enquire for a no obligation quote to perform at your event. Some acts will also add a rough price guide to their profile for your convenience. What are the usual set formats and performance lengthS for George Michael tribute acts? A George Michael Tribute Act can tailor their performance times to suit you and your event, however, on average, a professional George Michael Tribute Act will perform for two 45 minutes sets. How much space will a George Michael tribute act need at your event? If your George Michael Tribute Act comes as part of a full band, then you will need space for a full band back-line. This will mean that you’ll need a stage area of at least 4 metres by 3 metres. What equipment and set up requirements do George Michael tribute acts need? As with most artists who sign up to Entertainersworldwide.com, a George Michael Tribute Act will provide all of their own equipment. You may want to enquire if they need a PA to amplify their sound, in which case we would advise to use our easy to use messaging service to find out. We do ask that each performer gets a backstage area in which they can prepare for the performance ahead. If your venue does not have a backstage area, then we kindly ask that you enquire with the venue to seek an alternative space in which the performer can comfortably get ready to entertain. How can you find and book a George Michael tribute Act with Entertainersworldwide.com? 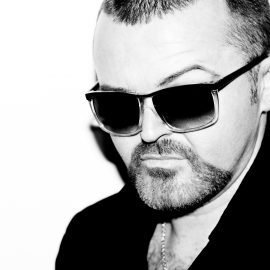 WANT TO RECEIVE A RANGE OF QUOTES FROM George Michael Tribute Acts?